This photo was in the collection of Louise Pappe Jersak. 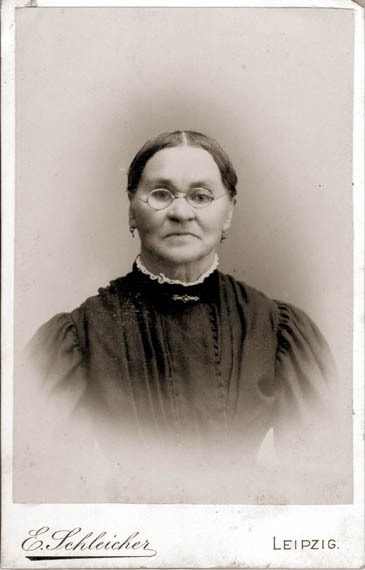 The woman in the photo bears a strong resemblance to Richard, Albert and Karl Pappe so we assume that she is their mother, Catherine (Heinemann) Pappe (1824-?). The photo was taken in Leipzig, which is where Karl lived and where Catherine lived for at least part of her life. The date of the photo is estimate based on the clothing style, which was typical of women's fashion in 1895-1905 time frame. The photographic printing process also dates to 1900 or later.